Have I wrongly disconnected my USB drive? Where is the Safely Remove hardware icon? When I insert my USB key again why do Windows Explorer pop ups with strange message? – Well this kind of situation is not uncommon during our pc world life. Pulling out the USB key when we faced with this situation is not advised so as not to destabilize windows. One can tweak windows in this case or can search for an alternative removable media manager. USB devices like removable hard drives, memory cards or even connected mobile phones become increasingly common but Microsoft failed to add the means to manage the devices effectively. If you remove something like a USB thumb drive without first telling Windows, it’s possible to corrupt the contents of the drive. Recently Zentimo was released and this in order to replace Usb Remove Safely and thus providing more features. Zentimo replaces the Windows “Safely Remove Hardware” effectively. Simply Zentimo will tell Windows that you’re about to remove a device so that Windows can finish whatever it needs to do with it. For example, Windows flushes all disk buffers, avoiding things like potential corruption. This software is one stop solution to some of the difficulties that users face. It get rids of the message that the device can be safely removed and it can also close processes that are locking files on the device so that it can be removed. Installation is straightforward, the new USB Images are an improvement, is stable and very accurate , the program loads fast with windows startup then minimize to system tray. Click on that icon and choose the new inserted usb key then hover on it and a menu tab will be found then click on it and then access to the test capability and also to other properties. This window gives some interesting details such as: Device Info, Device Management, Automatic Execution, Drive Properties. The spead test involves reading/writing Small (32.KB), Medium(3.0MB) and Large Files (100MB). One can also change the Device image by clicking on change button and this will open a new window providing some images or one can upload its own image album for usb device. Browsing The Device In Total Commander. If one Chosen this Explorer then has to assign the Path and File name to -˜Totalcmd.ex’. This will enable Total commander as principal file explorer. Scanning The Device With Antivirus. 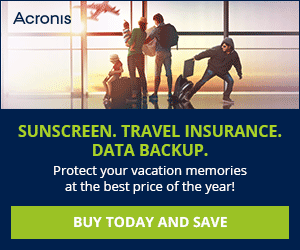 Kaspersky, NOD32, Dr.Web, Avast, Norton Antivirus or Another Antivirus. Copying of file. From device to hard drive or from hard drive to device, copy before stopping the device or after plugging. If you have couple of devices like mp3 player, mobile phone, Usb Key etc . connected simultaneously , then its difficult to find out the exact USB device that is to be removed because they will use the name USB mass storage device. This makes it hard to safely remove the USB key. 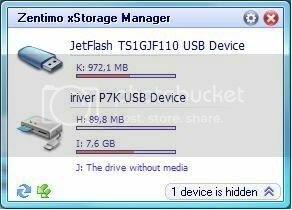 Zentimo is an application that exactly list the brand name of the connected USB device so that we can identify the original device and exit them properly.. For instance Iriver P7 and Usb Key JetFlash TS1GJF110 were correctly recognized and named by the software. The list can be seen from the systray icon or performing the hotkey win+s. Handy menu to stop devices: Such as keyboard shortcuts to safe removal, ejecting memory cards rather than the card reader, command line to safe removal, stopping via “disabling”. Hiding drives of empty card reader slots. A must have tool for an active USB user. No more system restore, No more “The Device Can’t Be Stopped Right Now” annoying messages. This version is still in beta and the provided serial upon free registration will be valid for one year. So, click here to go to registration page to obtain free license. Glad you liked it Sujay. I've sent you an email. Please check it. TECH I SHARE © 2019. All Rights Reserved.